This is a one of a kind knife board set. The kit includes *High Carbon Stain-Free German Forged Steel *Comfortable *Soft Ergonomic Santoprene Handle *Razor Sharp *Long Lasting Taper Ground Edge. 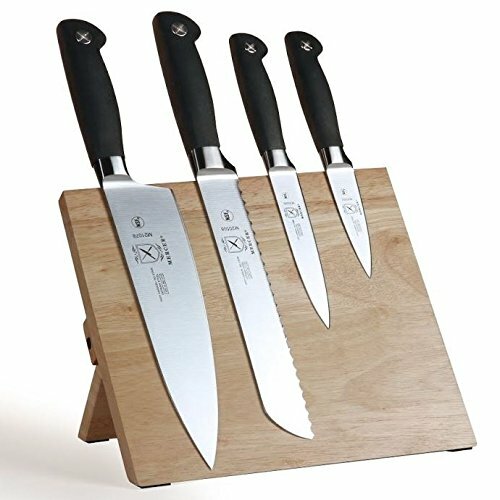 This kit includes a Magnetic Board, Chefs Knife, Bread Knife, Paring, and Utility Knives. If you have any questions about this product by Mercer Culinary, contact us by completing and submitting the form below. If you are looking for a specif part number, please include it with your message.